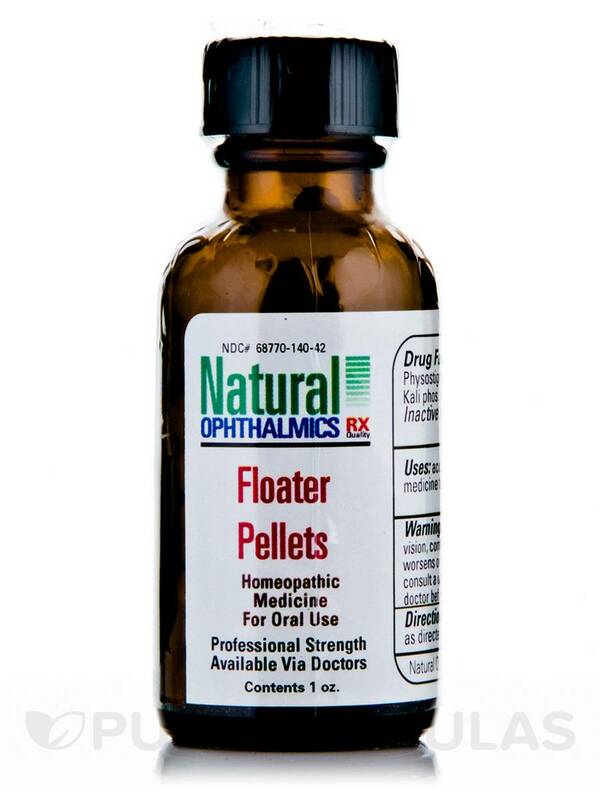 I started taking Floater Pellets immediately following my eye surgery and noticed that within a couple of days the number of floaters were significantly reduced. I was happy with the product which has good ingredients for eyes. 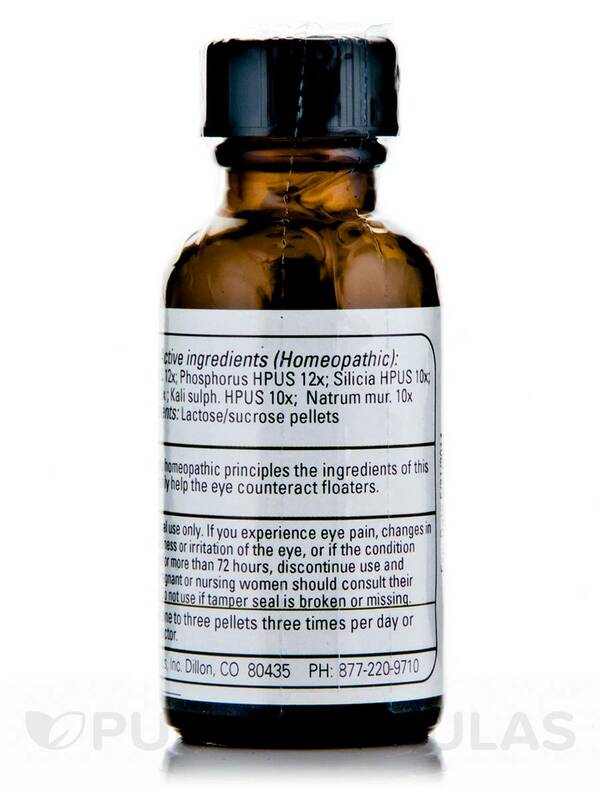 According to homeopathic principles the ingredients of this medicine temporarily helps th eye counteract floaters. Take one (1) to three (3) pellets three times per day or as directed by a doctor. Very noticeable change in amount of flashing and floaters. 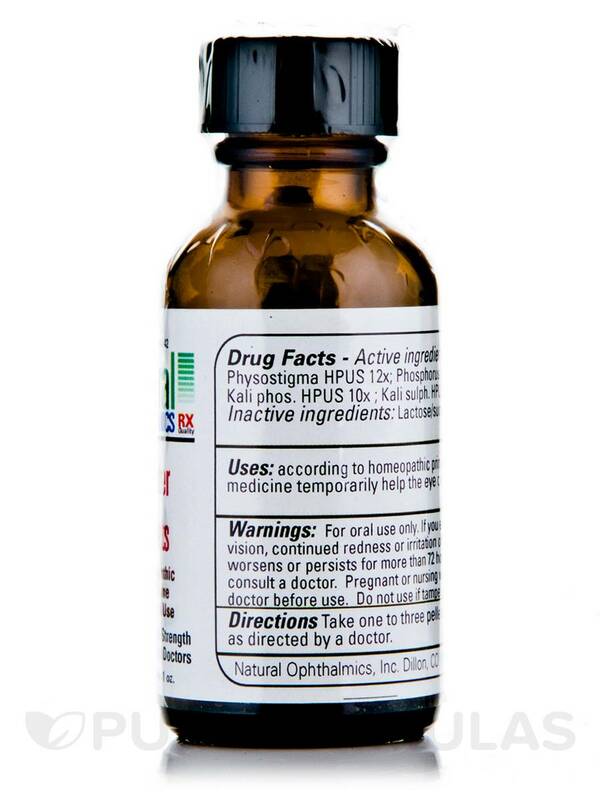 If I stop using Floater Pellets by Natural Ophthalmics they gradually pick up again. Good quality potency and convenient packing. I am 61 years old and I developed bothersome floaters about 18 months ago. I tried liquid tears and got some relief. An optometrist suggested these pellets (although by another name) and I could not find them in any stores. I found them on line and was not encouraged by the reviews I read but I was desperate. The optometrist told me they work for 50% of the individuals who try them. They have worked for me. They dont make them go away but the floaters are less bothersome. If I forget to take the pellets it is not long before my right eye starts clouding over. Its worth the price to try them to see if they will work for you. You have to take them 2 or three times a day. Once in the morning is not enough--for me at least. Best of luck to you. They work for me when no other solutions seems available. It is partial relief but still worth trying. What is a pellet? Is it a pill? If so, how big are they? Is it dissolvable? Hi Jeanie. A pellet is small and round and it is dissolvable when in your mouth.